Microsoft announced the Surface laptop and Windows 10 S during its #MicrosoftEDU conference today. Windows 10 S is an overhauled version of Windows RT designed to compete against Google’s Chrome OS. All software for Windows 10 S must be downloaded via the Windows Store, meaning that 3rd party applications won’t be able to run unless they’re approved by Microsoft. 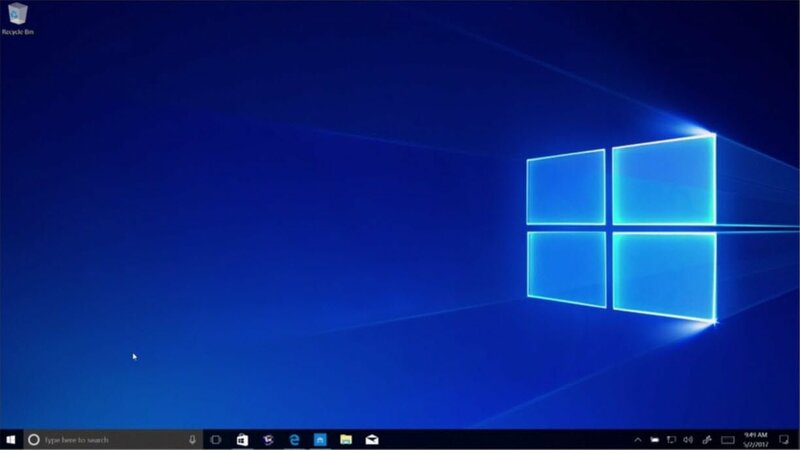 Are the flashbacks of Windows RT haunting you? Don’t be, Microsoft has enhanced Windows 10 S in several ways to avoid a repeat of the same mistake. The biggest challenge for a single software distribution source is its ecosystem. 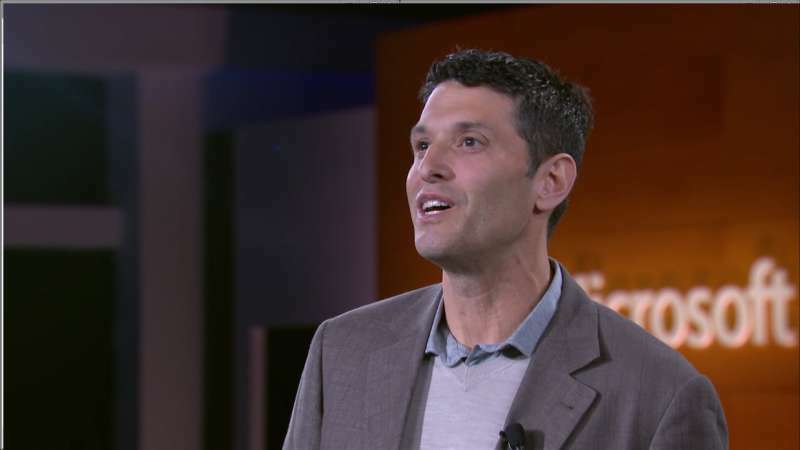 During the conference, Microsoft promised to deliver higher-quality apps en masse-a promise they’re finally starting to deliver on ever since it made the statement during the launch of Windows 10. 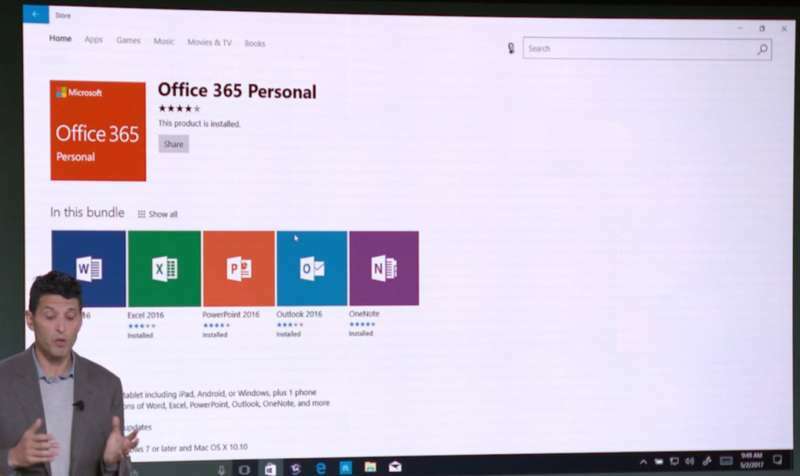 For starters, Office 365 will be released into the Windows Store along with many other popular applications such as Spotify. Windows 10 also brings Intune, a centralized management platform for Windows 10 S devices. Administrators can effortlessly sort through the details of each user and apply group policies on the fly. This is welcoming feature was originally only available in the Enterprise version of Windows. Rapid deployment is key in education. Windows 10 S also allows admins to easily configure custom installs and deploy it to Windows 10 S devices over USB. This can save an enormous amount of time and effort. On the client side, Windows 10 S promises to be lightning fast. Boot time will be under 15 seconds, and all apps will launch in under 5 seconds. If you’re familiar with Windows 10 already, then there will be virtually no transition period to switch to Windows 10S as the desktop environment is virtually identical. Users exposed to Windows 10 for the first time should find the UI effortless to navigate as well. Microsoft has partnered up with many OEM partners to produce Windows 10 S devices for as low as $189. Also in this market space is Google’s Chromebook. It’s refreshing to finally see another contender in this arena. All Windows 10S devices will come with a 1-year subscription of Minecraft EDU edition. 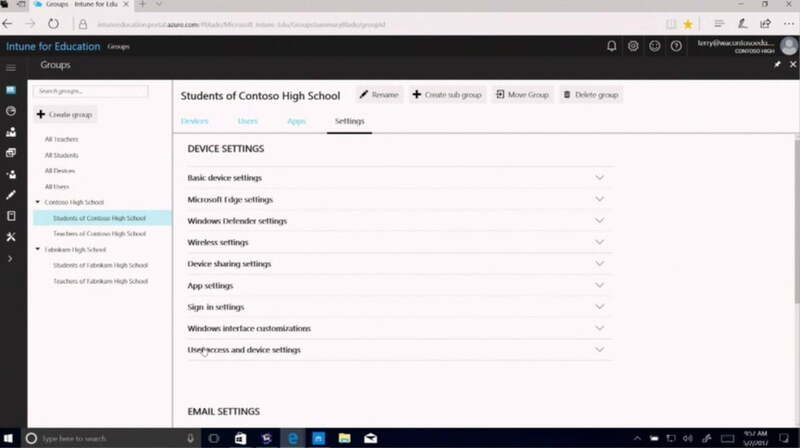 Office 365, including the new Microsoft Teams, will be free for all educational institutions. 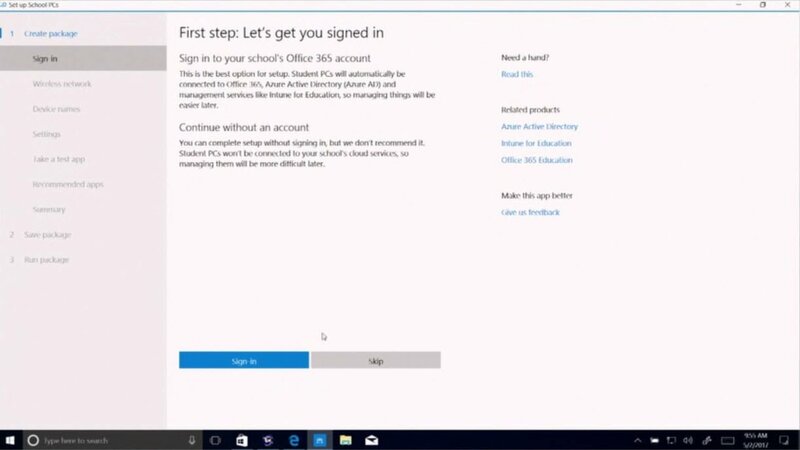 Windows 10S will also be free for all machines in the education sector running Windows 10 Pro. Consumer machines running Windows 10S will have the oppotunity to upgrade to Windows 10 Pro free of charge until Dec 1, 2017. The upgrade will cost $50 after the grace period. Windows 10 S will be ready for distribution this summer. The new Surface Laptop introduces the classic clamshell design into the Microsoft Surface family. 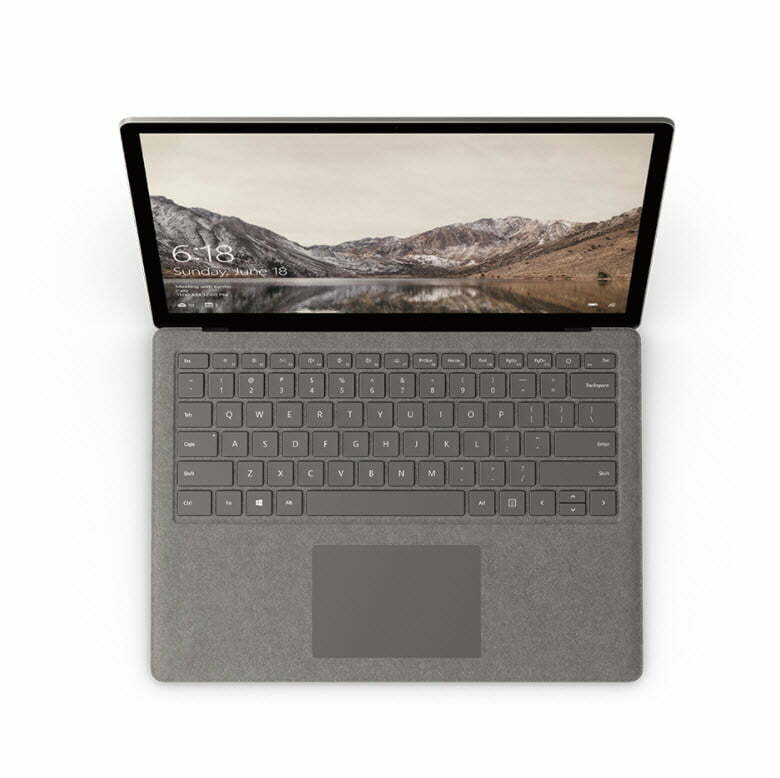 Equipped with a 13.5″ PixelSense touchscreen, Alcantara covered keyboard, and an anodized aluminum casing, the Surface Laptop aims to be a durable and sleek education companion for students. Under its (slim) hood, the Surface Laptop packs Intel’s i5 or i7 Kaby Lake U CPUs. 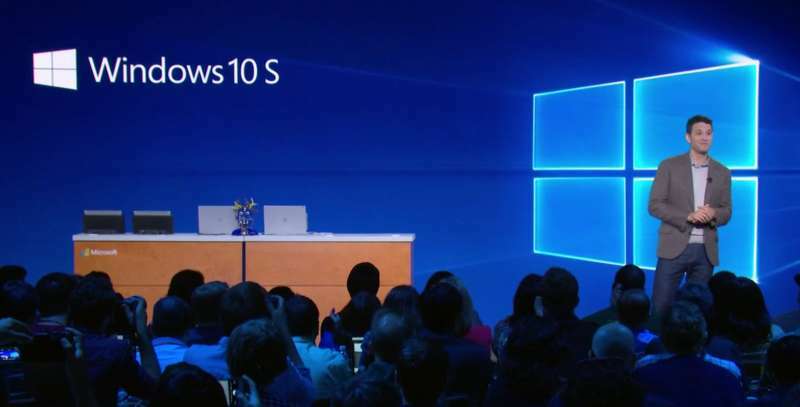 This is to pave way for the users who want to upgrade to the Pro version of Windows 10 later down the road. Paired with the x86 CPU is up to 16GB of DDR4 RAM and up to 512GB of SSD storage. The i7 model has the added benefit of using the Intel Iris Plus 640 integrated graphics. Battery life is also a primary focus for the Surface Laptop. Microsoft touts that the Surface Laptop has a rated video playback time of an astounding 14.5 hours. As always, when talking about battery life, the number quoted by the manufacturer is often achieved under a very specific circumstance. Your mileage may vary. 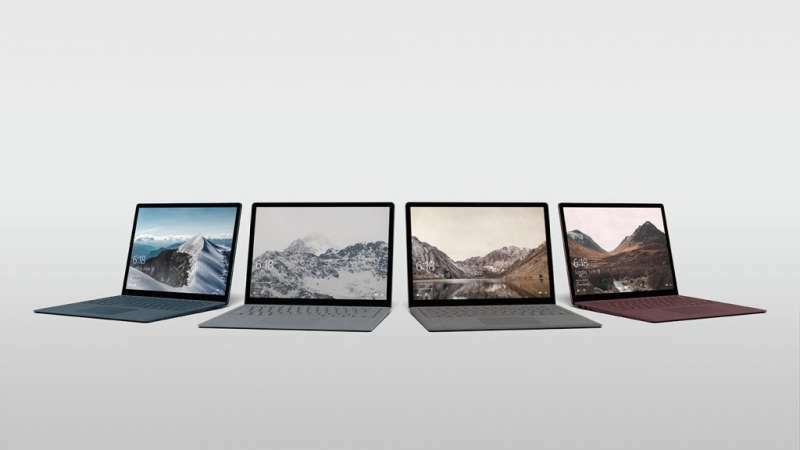 Four color options are available for the Surface Laptop: Platinum, Graphite Gold, Cobalt Blue, and Burgundy, all of which are the same price. 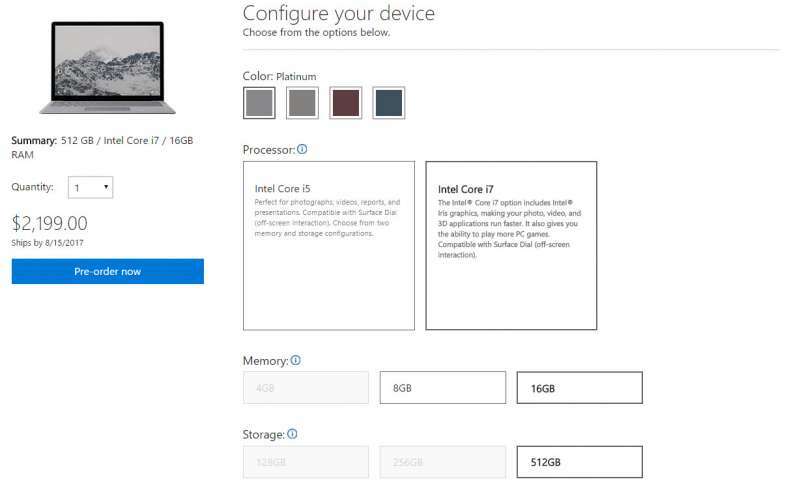 Spending the $999 starting point gets you a unit with an i5 CPU, 4GB of RAM, and 128GB of storage. If you want to deck out your unit with the i7 CPU, 16GB of RAM and a 512GB SSD, be prepared to shell out $2,199. At the time of writing, only the Platinum color option can be configured with the highest-end components. The rest will catch up later. You can pre-order the Surface Laptop at the Microsoft Store.